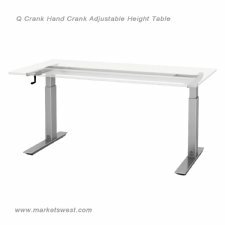 Quick, quality, and quiet adjustability, the Q Crank table base is available in a 2-leg configuration. 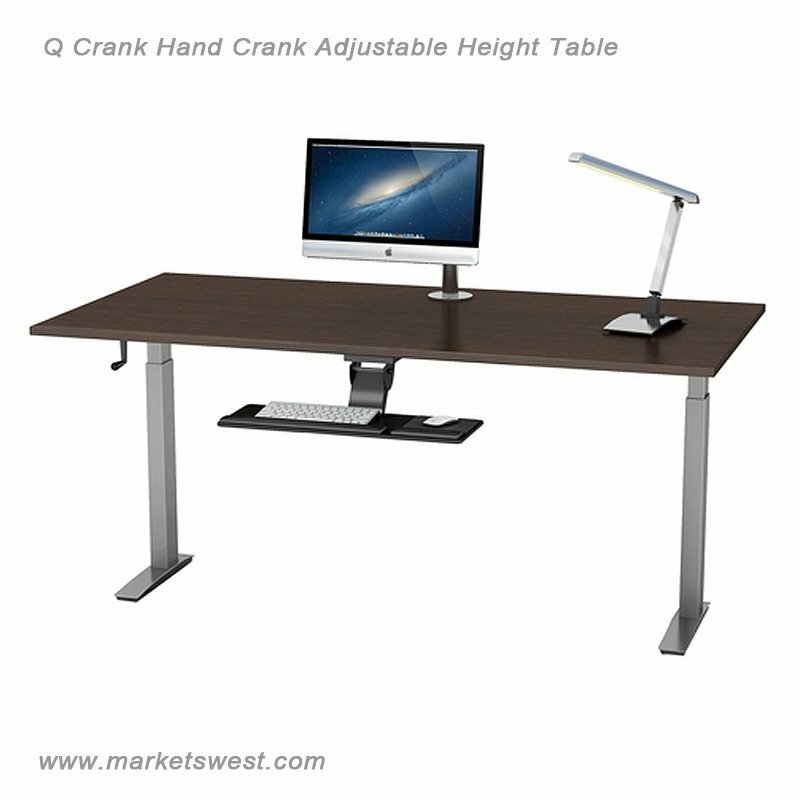 The handle retracts under work surface. Desired Laminate You have 140 characters left. Do not use HTML. 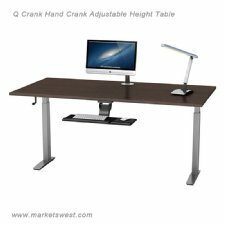 Popular Work Surface Laminate Choices. 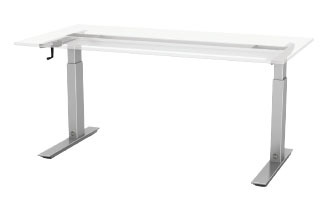 Work surfaces must be purchased with a table base and are not sold separately. Typical lead time is 10-14 business days for production of work surfaces. 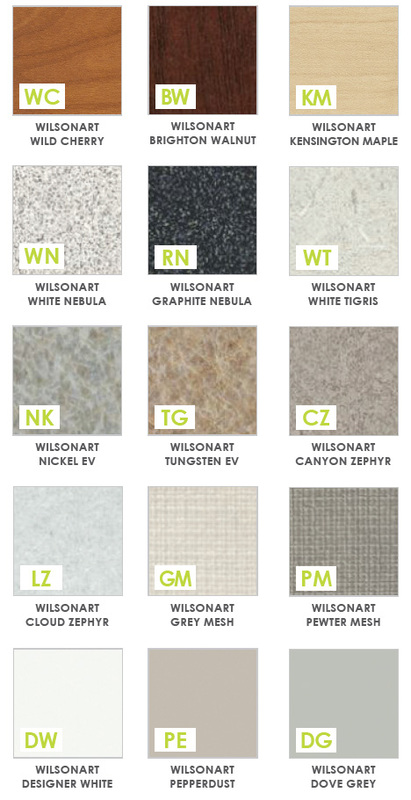 Work surfaces are available in 38 standard laminate colors. Below are 15 of our most popular. Standard laminates ship with matching 3MM edge banding. Additional laminate colors are available. Call or email us for more information. * Note: Due to printing limitations, colors are not guaranteed to be accurately reproduced.